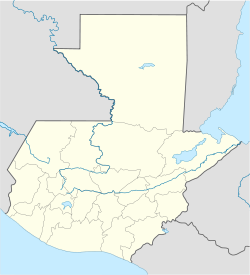 Santa Catalina la Tinta is a municipality in the Guatemalan depairtment o Alta Verapaz. It is locatit in the het Polochic River glen. It wis oreeginally pairt o the municipality o Panzós, but wis gien separate municipal status in 1999. La Tinta is the commercial centre o the lawer Polochic glen, an merchants an shoppers clog the toun's streets especially on the offeecial mercat days o Tuesdays an Thursdays. The toun o Santa Catalina la Tinta is locatit at 110 km frae Cobán an 278 km frae Guatemala Ceety. This page wis last eeditit on 21 Julie 2018, at 05:55.